Rebecca Gibb isn’t just a Master of Wine. 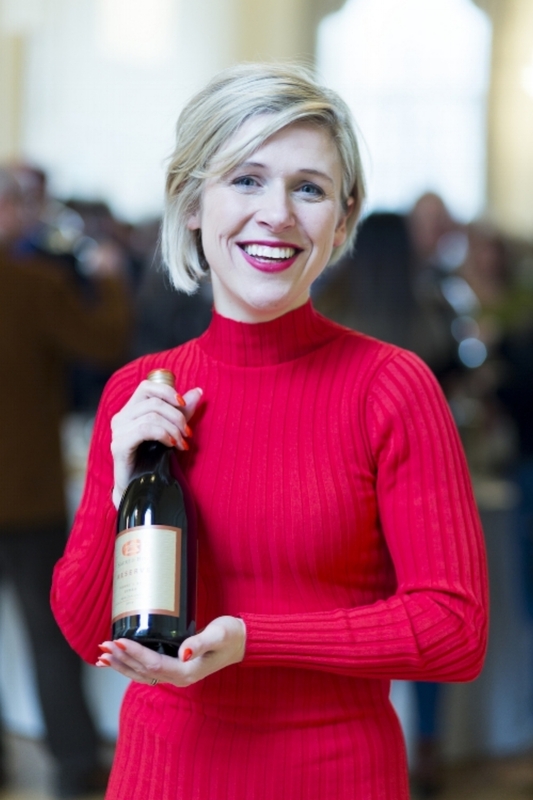 She’s also young, creative and surprisingly down to earth considering the list of shiny awards weighing down her mantelpiece: The Institute of Masters of Wine outstanding student award and Bollinger medal winner 2015, and Louis Roederer emerging wine writer of the year 2010. Yes, she’s a bit of a clever clogs and has a personality to boot, making her a kickass writer and presenter. Having lived in New Zealand for six years, Rebecca has a penchant for Kiwi Pinot Noir and Syrah but give her a bottle of Manzanilla and she'll sneak off to a quiet corner to indulge her weakness for Sherry. The Kiwi specialism sees Rebecca's first book, The Wines of New Zealand, out in July 2018, and she tempers her love of the New World with regular trips to Bordeaux and a developing expertise in the wines of the Loire Valley. Rebecca also keeps the wine world informed via rebeccagibb.com and continues to develop her entrepreneurial flair with a range of drinks-related jigsaw puzzles at bamboozled.games. Phew! Ben will happily confess that a career in the drinks industry wasn't discussed with his high school careers advisor. While studying to be a teacher, he got a job in a bar, the fuse was lit and the rest is history. From managing hospitality operations employing 350 people and endless travel as a brand ambassador for whisky heavyweights Beam Suntory, to practising the dark arts of commercial on-trade strategy with multinationals, he brings the commercial backbone and spirits expertise to The Drinks Project. He's as happy regaling audiences with the tall tales of the world's great booze brands as he is knees deep in spreadsheets negotiating thorny distribution deals. He likes his spirits dark, (with the obvious exception of a quality gin and tonic), so for breakfast you'll find him with a Longmorn 12, for lunch a Springbank 15 and after nightfall anything Islay. A language graduate, Nicky stumbled into the wine trade fresh from uni, when she answered an ad for a sales role at Thierry’s, leading French agency at the time. She’s been in the industry ever since, with over fifteen years’ experience in PR, marketing and events, managing high budget trade and consumer press campaigns and events for leading drinks companies, brands, generic bodies and wineries from all over the world. Nicky holds her WSET diploma and can happily babble away in Italian to anyone who’s listening (her French is decent too). Strong, long-term relationships with specialist wine press and key trade personalities over the years means she’s figured out what ticks the boxes, and can insightfully create bespoke press campaigns that are effective and personally tailored to get the right results. It’s definitely not a ‘one size fits all’ approach. Nicky’s favourite wine region is the Languedoc; gin is the spirit of choice (preferably in a Martini, stirred not shaken, with a twist of lemon); and, being a Hampshire girl, a pint (preferably Ringwood) in a New Forest pub.